You are here: Home / Student Diversity / Boys and Reading: Are Single Gender Schools the Solution? 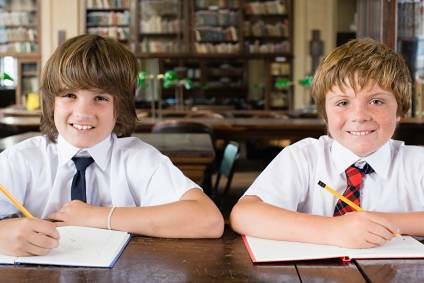 Boys and Reading: Are Single Gender Schools the Solution? There is a serious problem today with boys and reading. This is a problem that does not just affect book sales. Today, girls are wildly outperforming boys at all levels of education, even higher education where female students are so thoroughly outperforming male students that admissions offices are having to use affirmative action in order to bolster their male admissions. 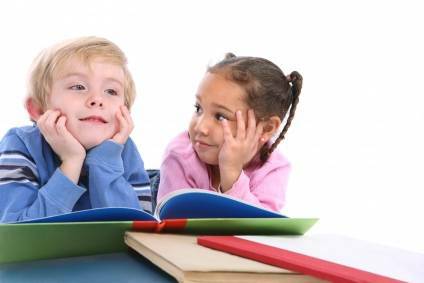 In 2005, the former director of research for the National Endowment for the Arts published a study which concluded that over the past 30 years, the percentage of boys who read for fun has plummeted. This decline has been so dramatic that today around nine out of every ten boys do not read for fun at all. The percentage of girls reading for fun has remained steady during that time. Clearly something that begins at a young age extends all the way into adulthood. What is going on? Part of the explanation is changes in society. Video games, medications for ADHD, and chemicals in foods and plastic bottles are all perhaps partially to blame for the problem of boys and reading. According to advocates of single gender classrooms, one of the biggest causes has been our education system. Advocates of single gender classrooms argue that the brains in boys and girls develop at dramatically different rates, especially when they are young. Today, kindergartens throughout the United States emphasize learning how to read and basic arithmetic over socialization, which is very different than what kindergartens emphasized 30 years ago. While five-year-old girls brains have developed adequately to properly learn these skills, those of boys have not. In fact, a team of 15 distinguished neuroscientists from the National Institute of Mental Health in Bethesda, MD published a report in 2007 which stated that a five-year-old boy’s brain has only developed to the level of a three-year-old girl’s brain. Three-year-old girls are not ready to learn how to read and do math. Perhaps five-year-old boys are also not developmentally ready to read and do math. Advocates of single gender schools argue that by having separate classes for boys and girls, the curriculum can customize to properly take into account their differences in development and different learning needs. For example, an all-girls kindergarten might have quiet story times where everyone has to sit still, be quiet and not do anything distracting. On the other hand, an all-boys kindergarten might have “noisy” story times where the boys are allowed to stand, sit, or lie down, and even make noise. Single gender classroom advocates claim that they do not wish to “dumb down” the curriculum, but rather just want to make learning as efficient as possible. Given how serious the problem is with boys and reading, it will be interesting to see if the increased experimentation in single gender classrooms validates their positions.